Have you tried our Subject Guides? Our full range of individually tailored Subject Guides are the perfect way to find resources in your subject area this academic term. Discover everything from the correct databases to use, the most relevant journals, e-Books & much more. 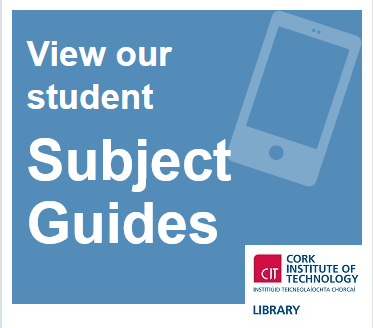 Visit http://libguides.cit.ie/home to try out of full range of Subject Guides for yourself!